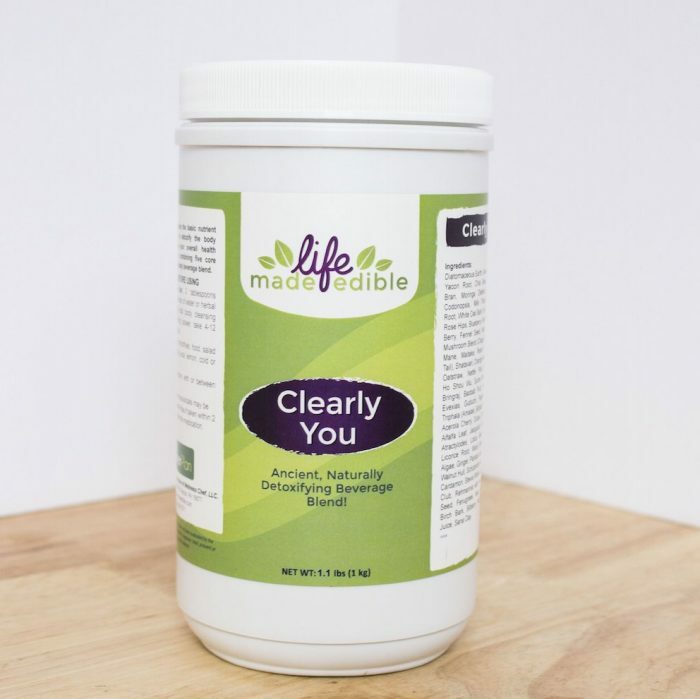 Clearly You has the basic nutrient building blocks required by the body to improve overall health & well-being. 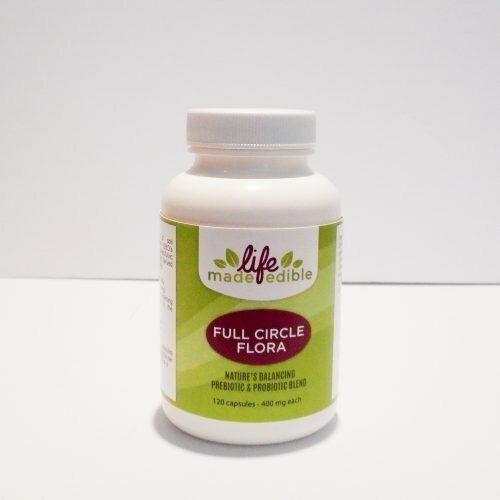 It also provides complete vitamin, mineral and phytonutrient support while you are ridding your body of toxins. An added benefit is that the complete array of minerals & phytonutrients, naturally reduce hunger. However, it is essential that you eat whenever you start to feel hungry. If you carefully keep an eye on your food combining practices, you will actually enhance the cleansing impact on your body by feeding it with beneficial nutrients and easy to digest food. 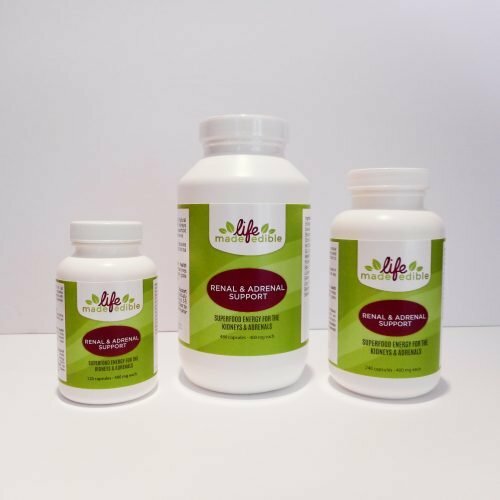 Due to the comprehensive balance of earth-born minerals, chlorophyll-rich superfoods, sea vegetables and alkalizing herbs, the body pH steadily progresses toward normal. You will notice a steady climb in pH toward the ideal 7.4. (Pharmaceutical medications sometimes impact your body’s pH, making your body more acidic. 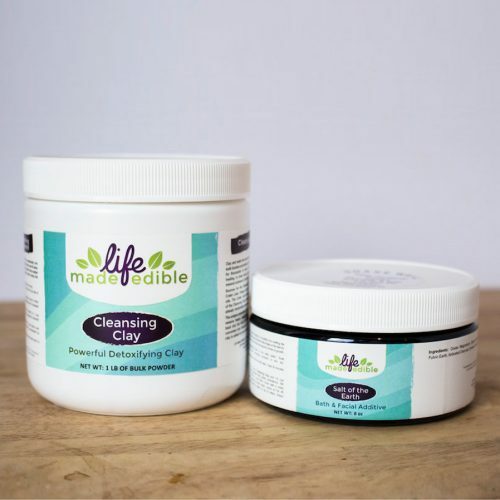 If you are taking any pharmaceutical medications, please contact a Life Made Edible Cleansing Coach to help you customize your use of the Clearly You in conjunction with your health care practitioner). The nutrients found in Clearly You are required by the body to enhance immune powers, improve hormone development, regulate sugar levels, improve cardiovascular function, build friendly bacteria in the gut, accelerate tissue and bone repair, increase mental clarity, and improve digestive strength. You may notice an improvement in your energy levels throughout the day and an increase in mental concentration powers, a sharper mind, and better memory. Recommended Use: 2 tablespoons in water, juice, smoothie, or in a salad dressing, 2 or more times per day based on desired alkalizing, cleansing & up-building effect. 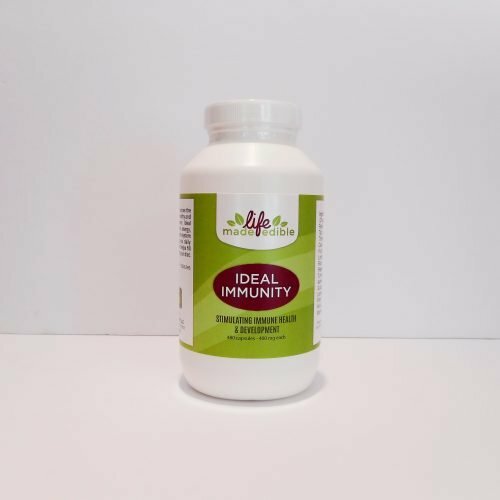 Increase the frequency or amounts per day to increase the nutrient stores in the body, the cleansing of heavy metals, radiation & chemicals, improve body alkalinity, and strengthen every major function of the body. Alfalfa Leaf, Yacon Root, Nettle Leaf, Nettle Seed Powder, Stabilized Rice Bran, Parsley Root, Chia Seed, Moringa Oleifera, Codonopsis, Milk Thistle Seed Powder, Mighty Minerals, White Oak Bark, Humic & Fulvic Earth with SBO’s, Cleansing Clay, Diatomaceous Earth, Hawthorn Berry, Rose Hips, Orange Peel, Acerola Cherry, Fennel Seed, Baobab Fruit, Bamboo Manna, Triphala (Amalaki, Bibitaki, Haritaki), Mushroom Blend (Chaga, Cordyceps, Lion’s Mane, Maitake, Reishi, Agarikon, Turkey Tail), Marshmallow Root, Shatavari, Maqui Berry, Borage Leaf, Ashwagandha, Blueberry, Oatstraw, Licorice Root, Nettle Root, Eleuthero Root, Ho Shou Wu, Suma Root, Bringraj, Hyssop, Spirulina, Evexias Clay, Guduchi, Peppermint, Gigartina, Brahmi, Dulse, Cilantro, Coriander, Jiaogulan, Red Peony Root, Atractylodes, Lotus Seed, Parsley Leaf, Wood Betony, Blue Green Algae, Plantain Leaf, Ginger, Schizandra Berry, Black Walnut Hull, Slippery Elm, Bambo Manna, Stevia Whole Green Leaf Powder, Devil’s Club, Rehmannia with Kudzu (4:1), Fenugreek, Kelp, Artemisia Annua, Birch Bark, Bilberry Fruit, Dill, Laminaria Juice, Cardamon, Sana Clay.